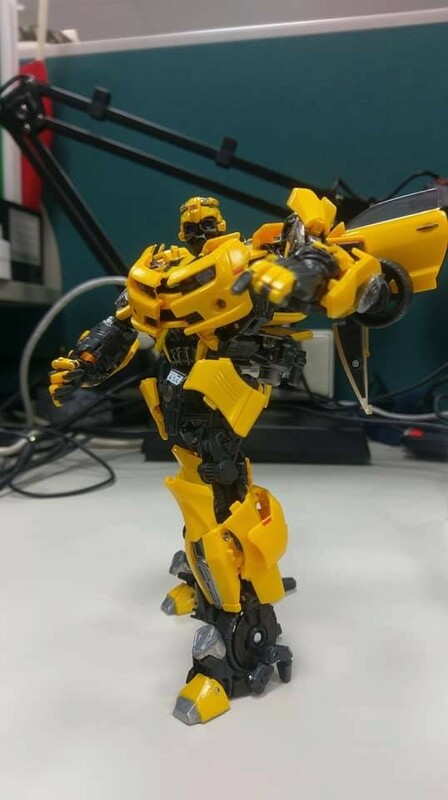 Thanks to Transformers Never Die on Facebook and NOTRAB on Weibo, as well as fellow Seibertronians Bumblebee21 and itscramtastic for letting us know, we have an extreme amount of in-hand images for Movie Masterpiece MPM-3 Bumblebee! 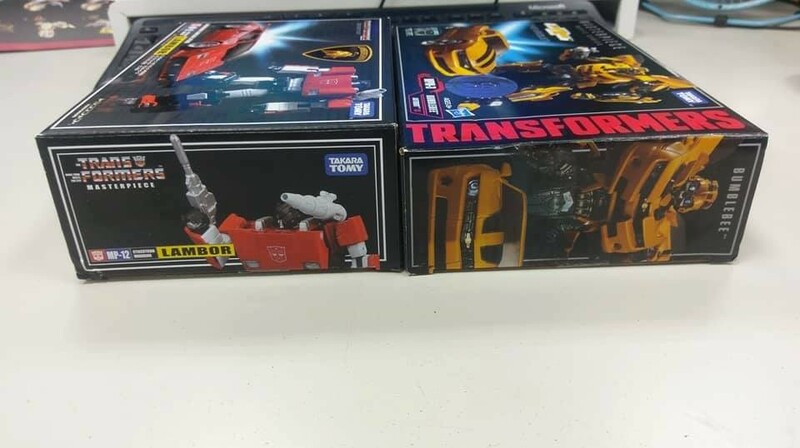 Check 'em all out below, and let us know what you think in the Energon Pub! 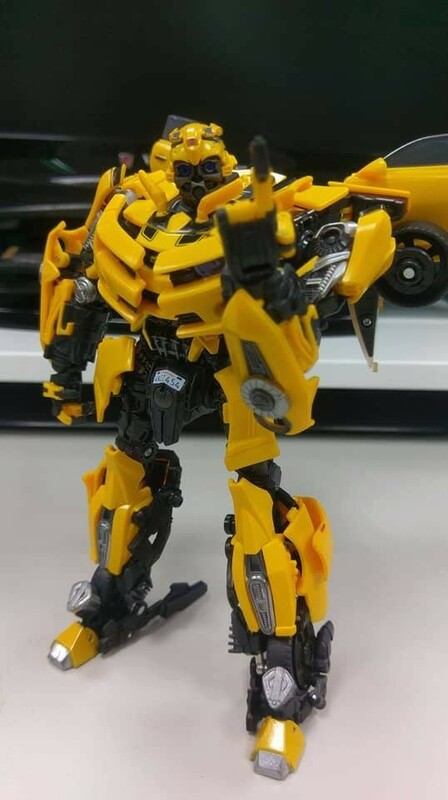 A very nice figure. Too expensive for me though. Will buy if I ever see it cheap enough. I hope they do more of these. 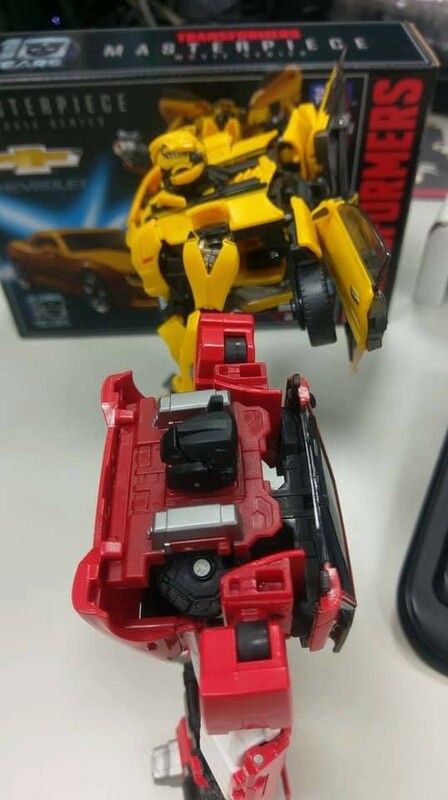 Ironhide needs a better toy. Look promising. I wonder if the kibble that hang under the door wings are supposed to be there? He has quite a thick back, yet appears to balance just fine. Still not a fan of larger things, but happy to see good engineering. i thought the special ops version which was leader class size was the best version, until now! 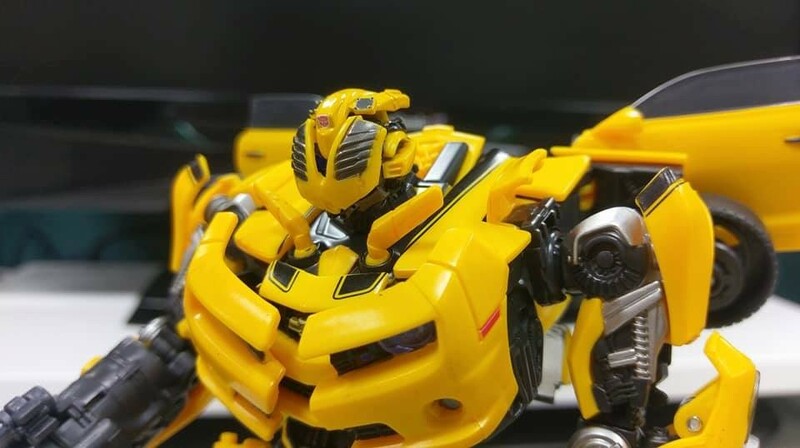 Wow, that Bumblebee is beautiful. Can't wait to add it to my collection! 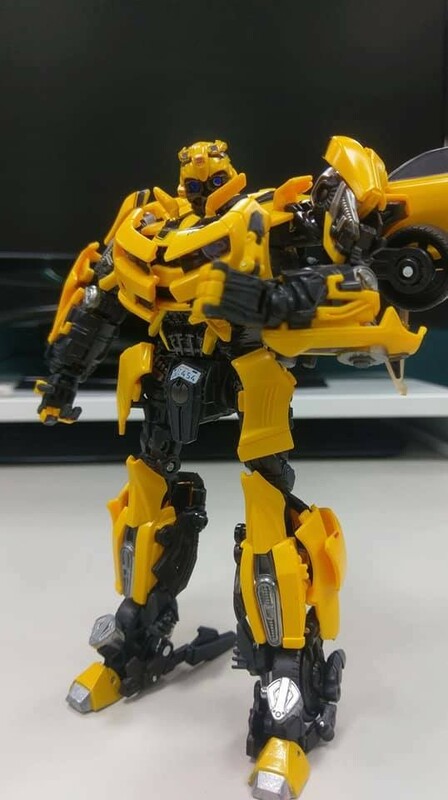 I really want to like this figure. I like most of it. I won't like the price and unfortunately, without dark smokey windows it's no deal. 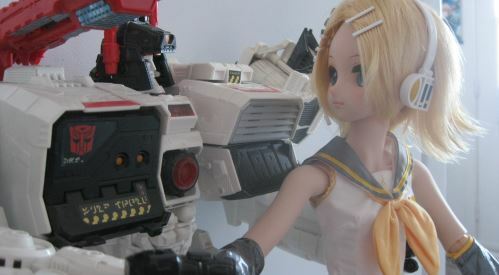 I do not like being able to see through my figures...major fail on Takara. -Kanrabat- wrote: Look promising. I wonder if the kibble that hang under the door wings are supposed to be there? 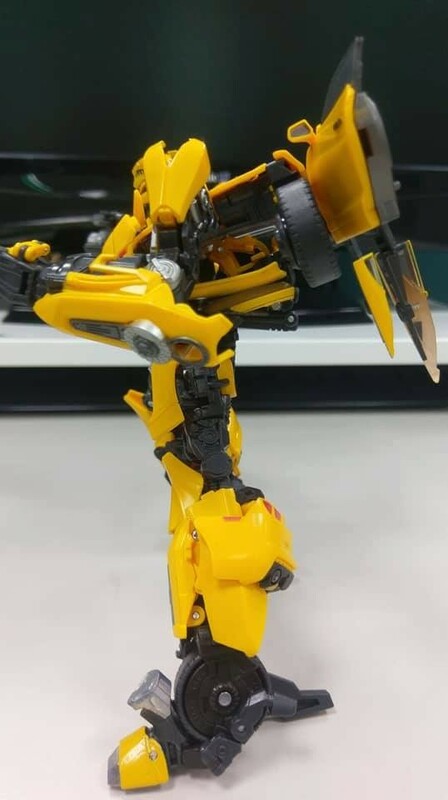 Also, anyone got an official picture of Movie Bee's BACK? 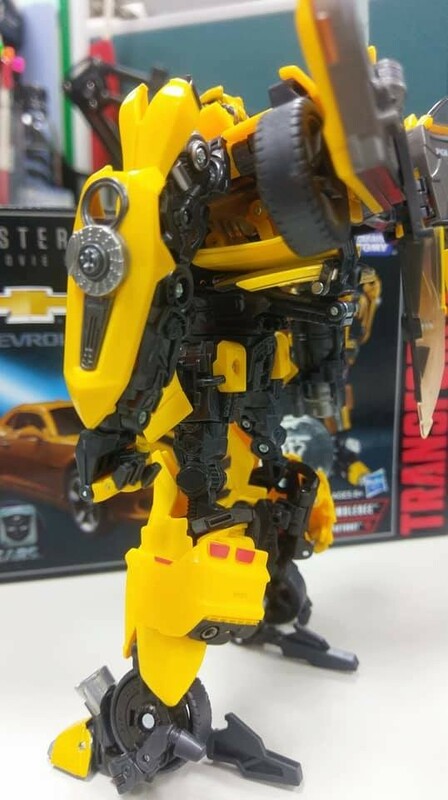 I mean, the actual Movie model. 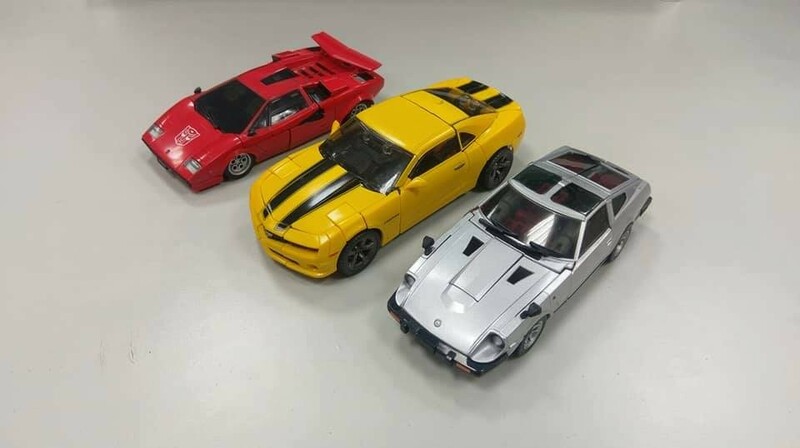 To compare the "real" one with the MP. 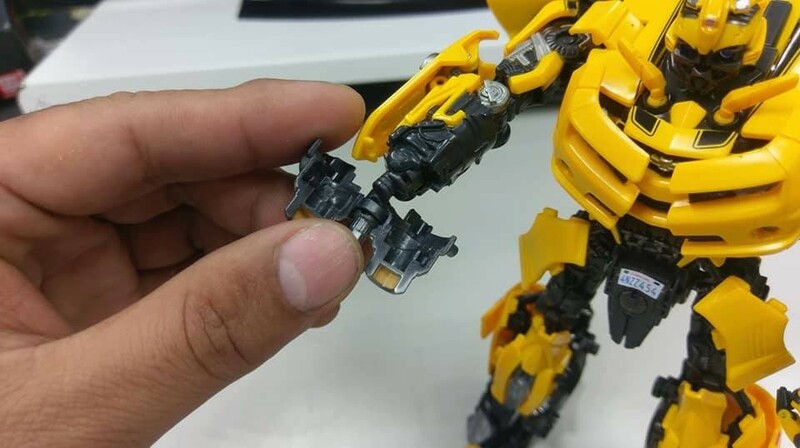 With the next Transformers live-action film right around the corner, leaks are at an all time high. 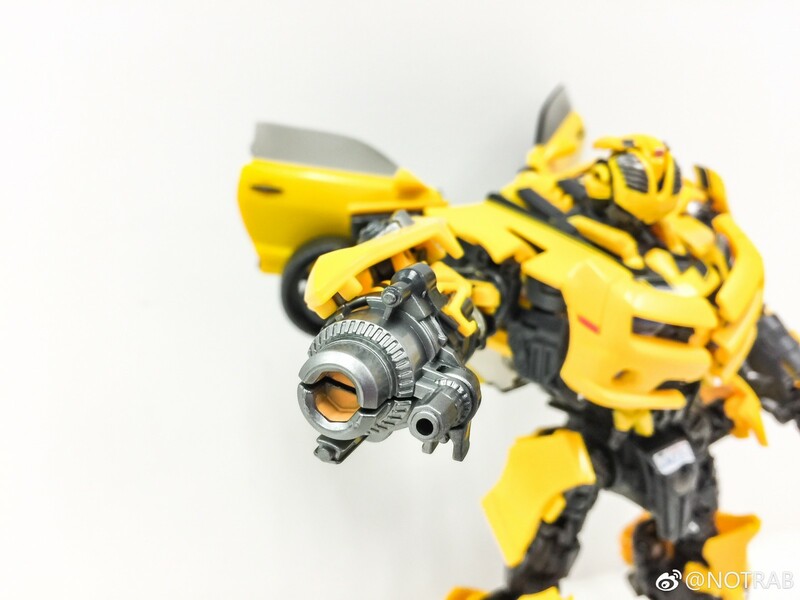 We have another one today as a user on Weibo has posted our first photo of the back of Movie Masterpiece Bumblebee's box, showing off all of his features and accessories, such as his flip-down battle mask and "Stinger Blaster". Check it out! 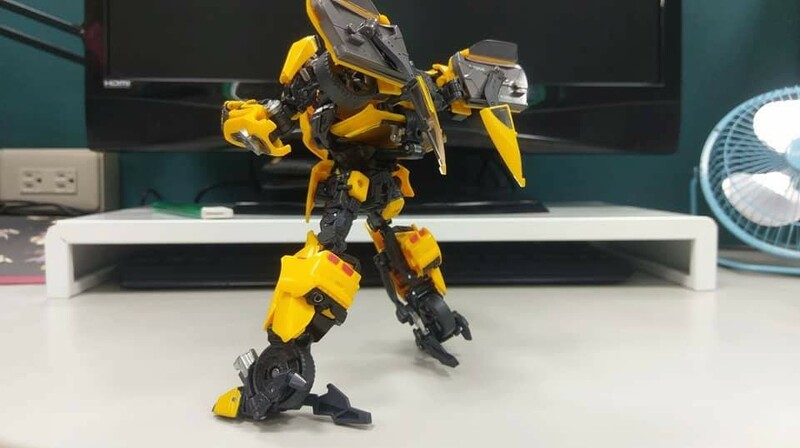 Damn, I want this figure now. It is so beautiful and perfect. I love movie years!! 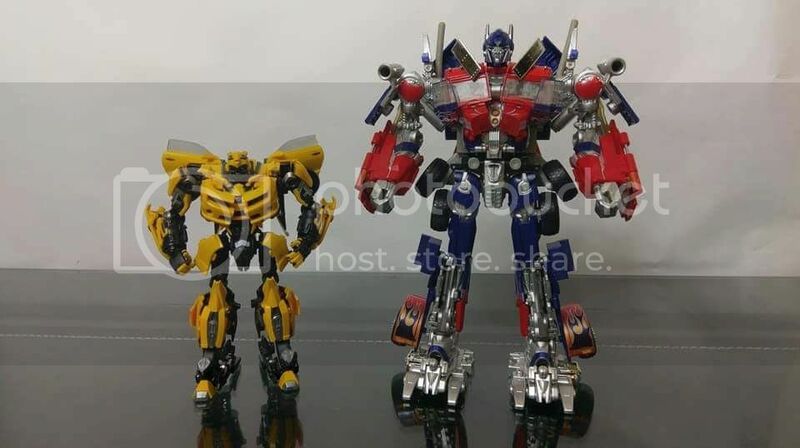 I wish it were to scale to the Prime, if I remember right it's like leader class size right? 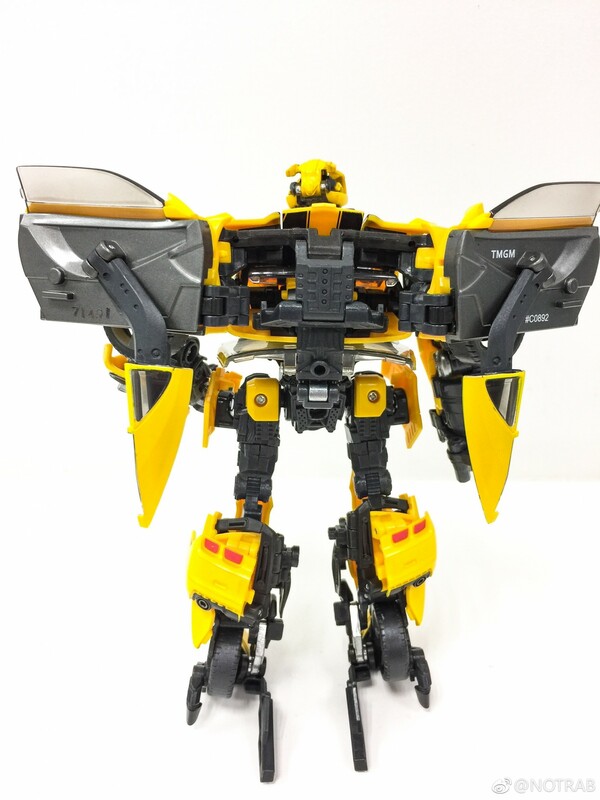 I can't bring myself to be interested in a leader class size Bee. I'd love a collection of scaled MP movie figs though. Especially the cast from the first movie. 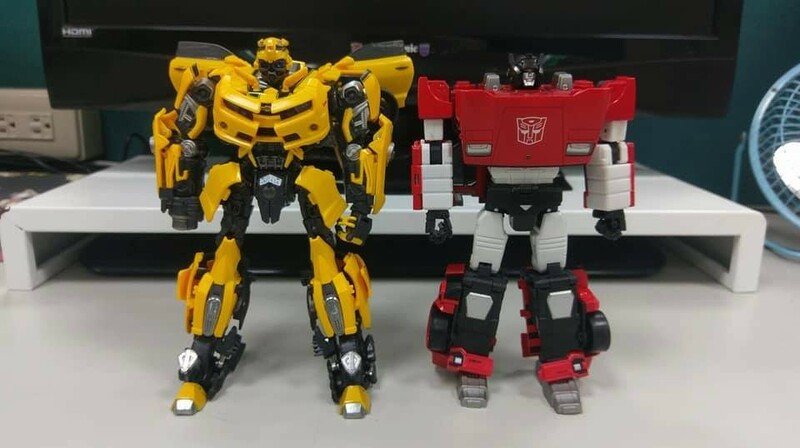 YRQRM0 wrote: I wish it were to scale to the Prime, if I remember right it's like leader class size right? 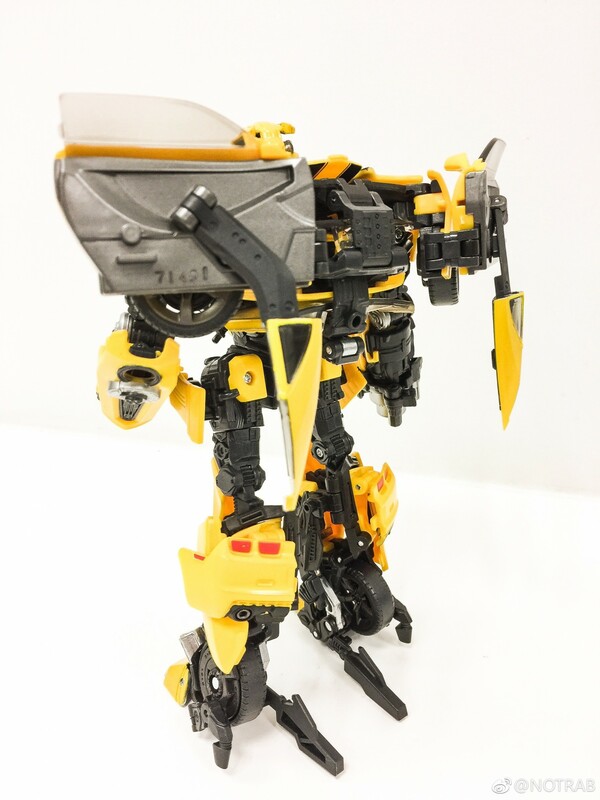 I can't bring myself to be interested in a leader class size Bee. I'd love a collection of scaled MP movie figs though. Especially the cast from the first movie. 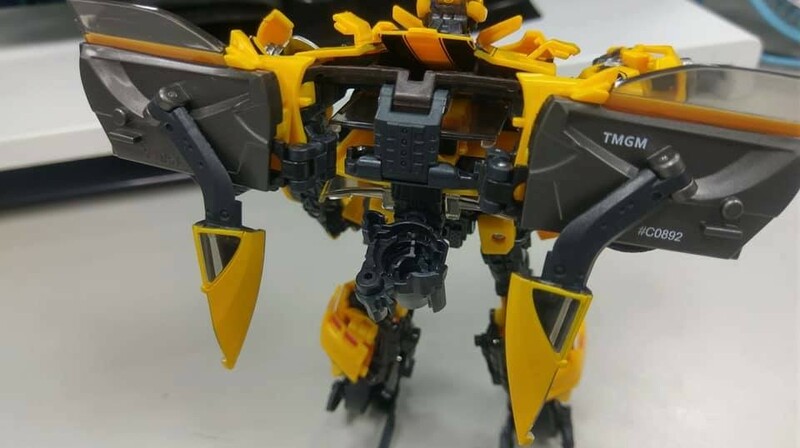 Looks like RotF leader to me. 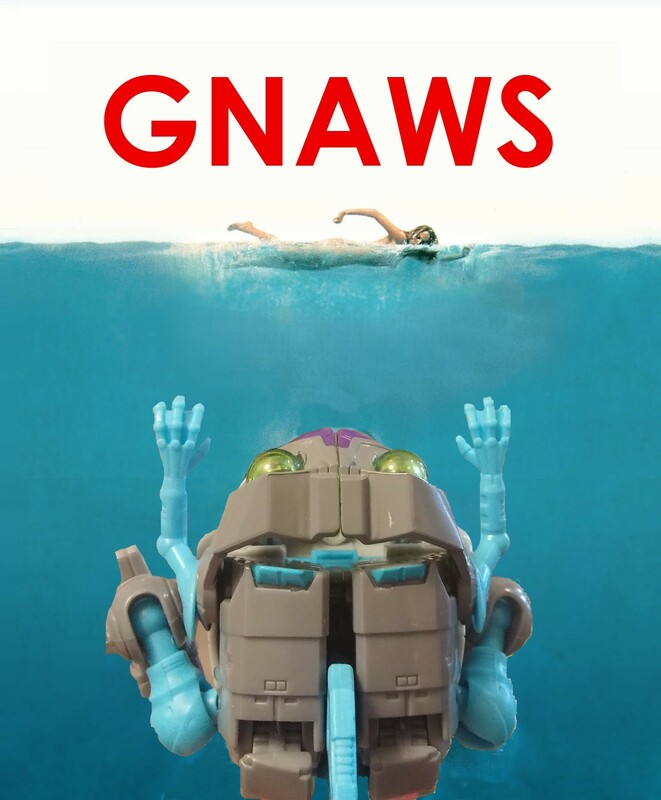 Just as a comparison to answer the original poster. Last edited by Scramjet on Wed Jun 07, 2017 10:53 am, edited 1 time in total. I was going to say. 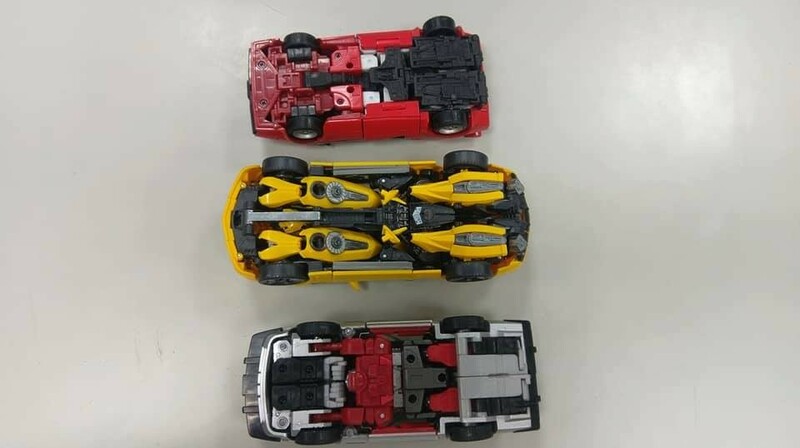 Looks too bulky and too many off colors to be 04. It's a practical size comparison, as they're the same size, pretty much. 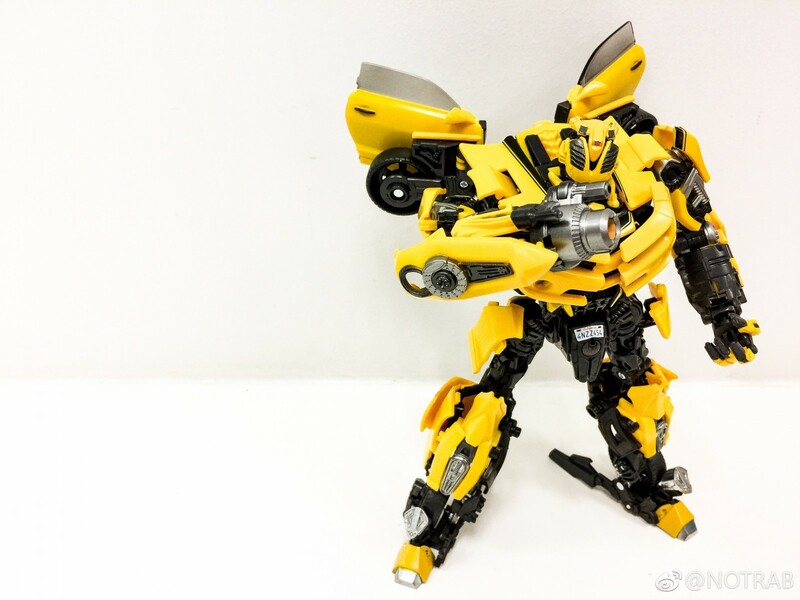 Okay, wait, apparently on HLJ Bee is about 93USD. 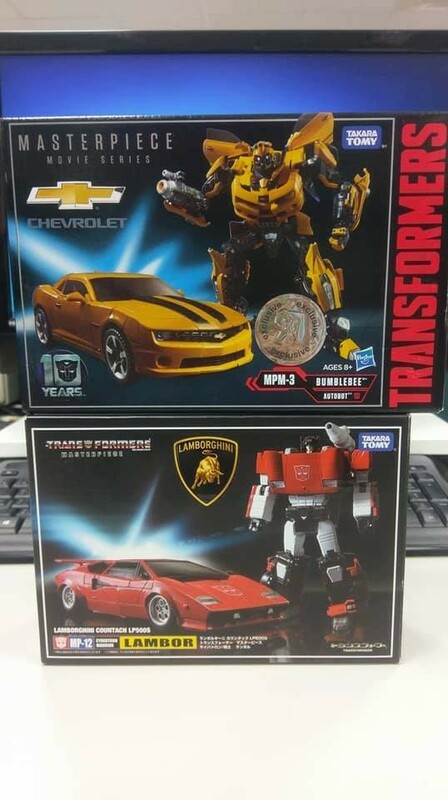 Was that price of "$79.99" we read before the price for retailers ordering stock, or am I stupid and HLJ is just expencive? Course not. The face looks like mush, he has overlapping huge thigh tires, and the hands are bricks, among other things I decided not to type. 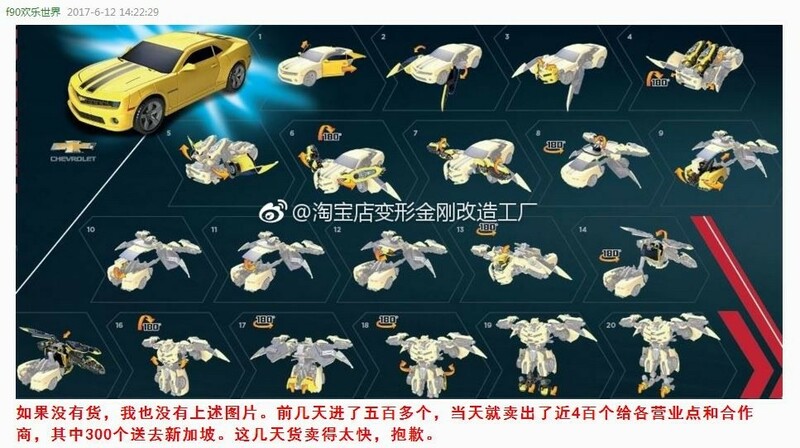 We've found more Transformers-related leaks on weibo, this time it's a piece of Movie Masterpiece Bumblbee's instruction sheet! The scan shows the first few steps of his transformation, but not much more than that. 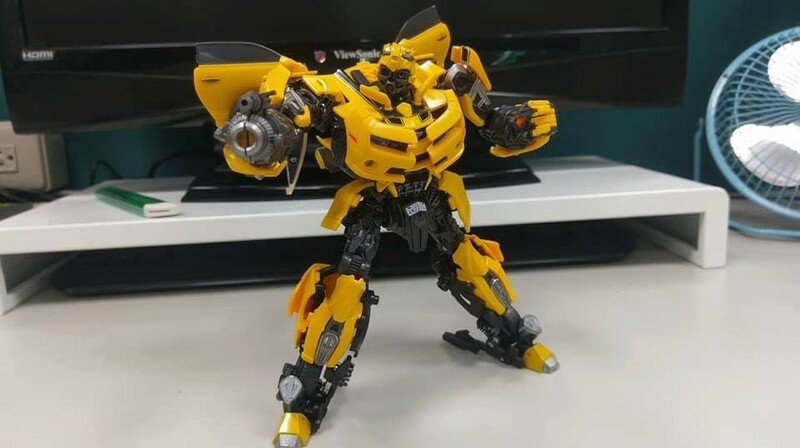 Check it out below and discuss in the forums if you'll be picking up this figure when it comes out later this year! 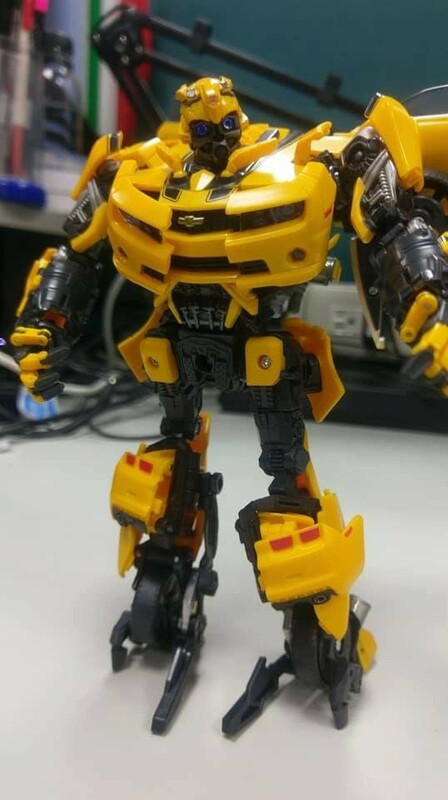 As I have the Human Alliance version of movie Bumblebee I am on the fence about the MP version. Does anyone know if it's painted or coloured plastic? 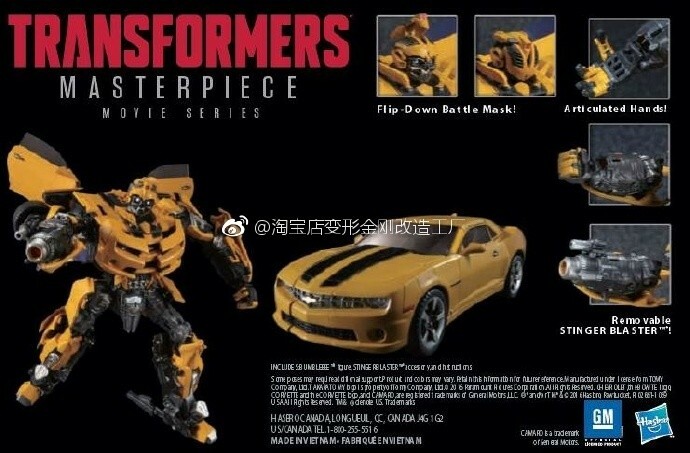 Ravage XK wrote: As I have the Human Alliance version of movie Bumblebee I am on the fence about the MP version. Does anyone know if it's painted or coloured plastic? Just been checking images and it does look painted. Thanks. 4,755 pages were recently viewed by 1,357 unique visitors. This page was viewed 1 times on Saturday, April 20th 2019 9:19pm CDT. © 2019 Seibertron, Inc. DBA Seibertron.com. All Rights Reserved. Established June 2000. Seibertron.com is owned by Ryan Yzquierdo.